Adopt a Tiger and help WWF to protect their future. 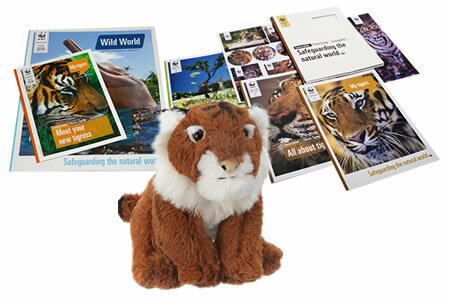 Adopt and receive a cuddly toy Tiger, a fun filled WWF adoption gift pack, plus updates on your animal three times a year. 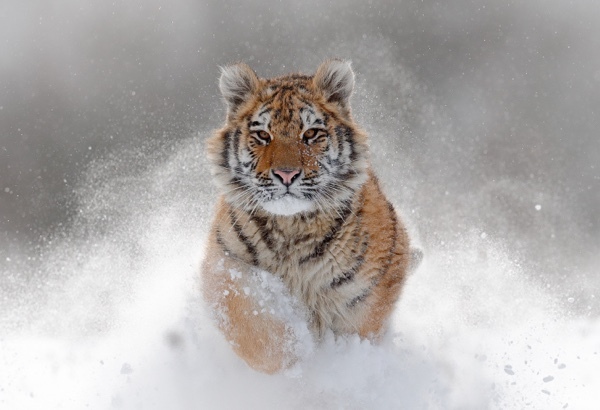 The number of wild tigers has fallen by 95% over the last century. In fact it's estimated that there are only 3,900 left in the wild. 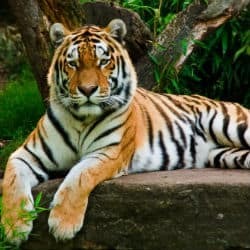 The wild tiger is officially classed as endangered by the IUCN as their population continue to decline as a result of poaching, habitat loss and other human related issues. Whilst tigers did used to roam throughout Southeast Asia, India now has the largest number of wild tigers left on the planet. With so few tigers left, now is a vital time to act in helping save these amazing creatures from extinction. By adopting a tiger from just £3.00 a month, you can help WWF reduce poaching and the illegal trade of live tigers, strengthen anti poaching around nature reserves, and ensure conservation laws are enforced. With your help, WWF will help stop the tigers struggle for survival. There used to be as many as 100,000 wild tigers at the beginning of the 20th century. Now the wild tiger population has fallen to as few as 3,900. Your adoption will help WWF raise conservation awareness and protect tigers from coming into conflict with humans which is the main threat to this magnificent species. Restore the tiger's natural habitat. 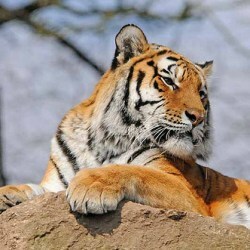 Less than 10% of the tiger’s original habitat remains in a country like India. The figure is less in other countries where the tiger roams. The money raised from your adoption will aim to restore the tiger’s habitat which has become fragmented and in the process this will enable them to move more freely within their protected areas. Tackle the threat of poaching. 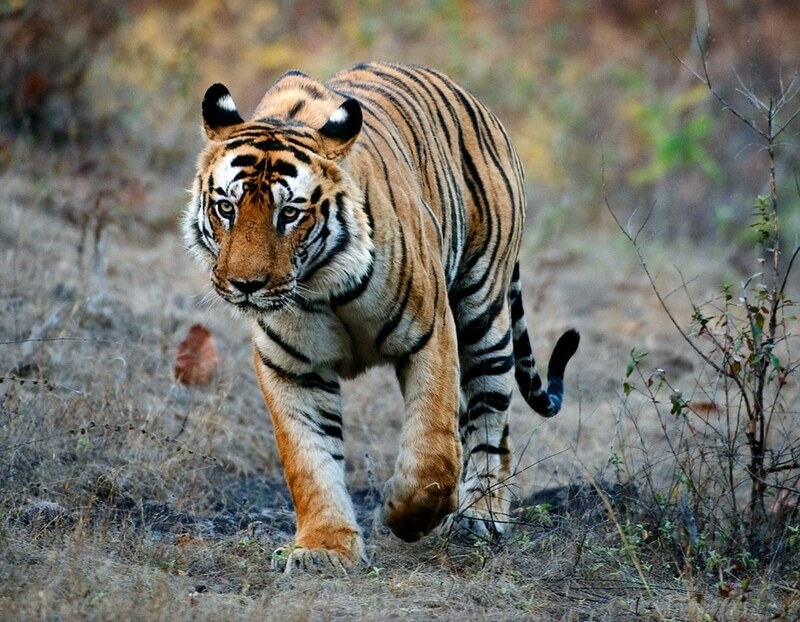 By far the most significant threat to the wild tiger comes from illegal poaching. 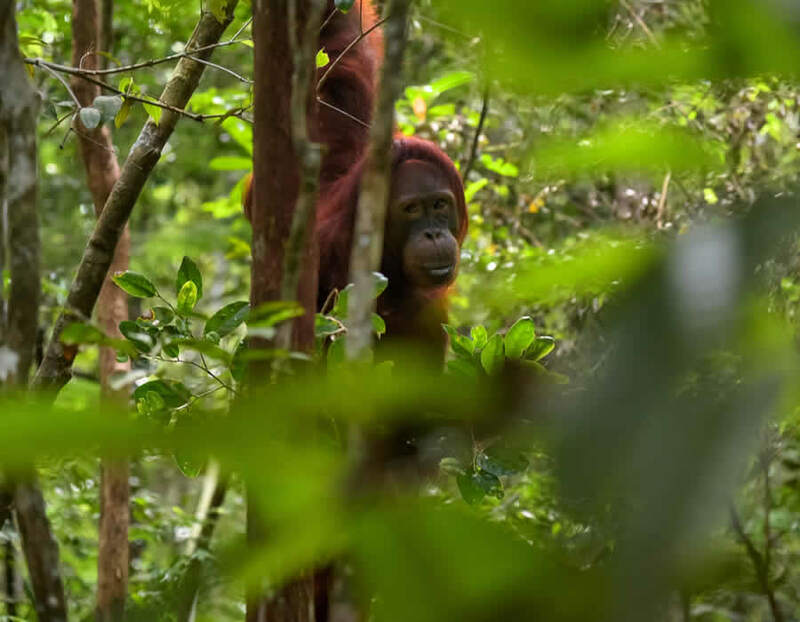 You can help WWF in its efforts to increase strengthen anti-poaching patrols and increase the availability of prey in the areas they live in. If we can stop the poaching, then the wild tiger population can be saved from extinction. 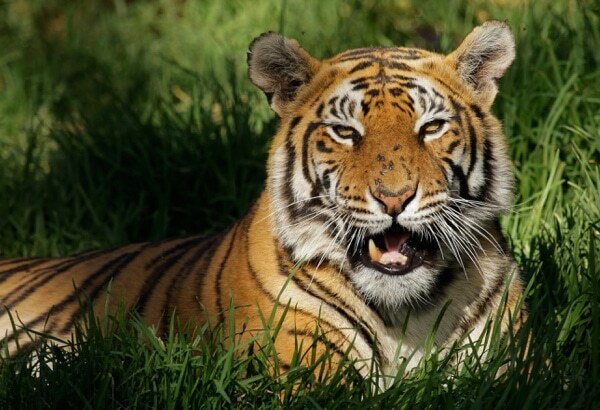 Stop the trade in tiger parts. As we said earlier the biggest threat to the wild tiger population comes from illegal poaching. People hunt tigers for their body parts which are valued in eastern medicine. You can help WWF educate the public by making them aware that there is no medicinal value that comes from a tiger. If we can stop the demand we can stop the supply. Adopt a Tiger and the recipient gets a beautiful gift pack to let them know just how much you care about them. An optional cuddly toy of your Tiger. 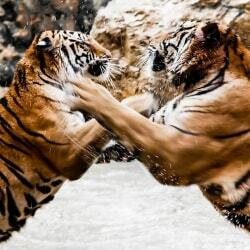 WWF's "Wild World" and "My Tiger" with news and updates for your adopted animal. 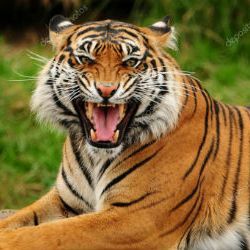 The tiger is not a social animal and prefers to hunt alone and usually at night. At the beginning of the 20th century there were 100,000 wild tigers, now there are less than 4,000 tigers left in the wild. Tigers are incredibly fast and can reach speeds of up to 40 mph. Our team bring your the latest Tiger news from around the globe.